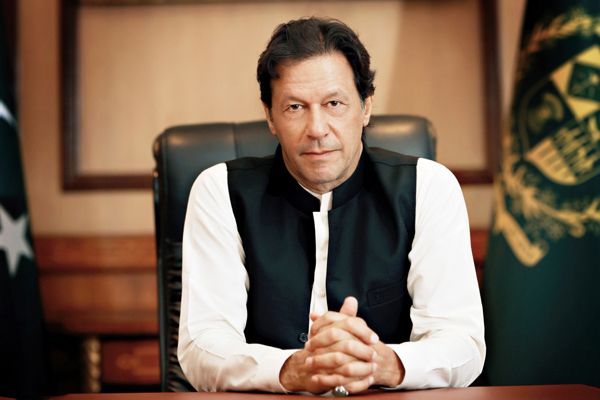 NEW YORK, Mar 01 (APP):Prime Minister Imran Khan’s deft handling of the grave crisis stemming from India’s cross-border attack inside Pakistani territory has won praise from politicians, analysts, writers, opinion makers and journalists from around the world, with an American South Asia expert saying that his popularity will get a boost. PM Khan’s peace gesture in releasing the captive Indian pilot has been welcomed by UN Secretary-General Antonio Guterres and nations around the world as an important step to de-escalate the heightened tensions between the two South Asian neighbours. Michael Kugelman, deputy director of Asia programme at the Washington-based Wilson Centre, told CNN that the entire country would rally around PM Khan support him as he deals with what he called a political test. “The crisis will likely give Khan’s popularity a boost,” he added. The New York Times cited diplomats in New Delhi as saying that India’s Prime Minister, Narendra Modi, would look like the aggressor at this point if India staged more strikes, and that PM Khan had no incentive to push things further. PM Khan’s priority has been to revive Pakistan’s listing economy, and “so far he seemed to have won this case in the court of world opinion”, the Times said in a dispatch. “His forces had captured an Indian fighter pilot, the pride of India’s military. And his calls for restraint and peace, even if driven by self-interest, seemed to play well around the world, even in India,” the newspaper said. “Whatever Pakistan’s role has been in the Kashmir conflict, Imran Khan, the prime minister of Pakistan, has acted with dignity and rectitude,” Indian author Arundhati Roy wrote in an opinion piece published in HuffPost. As for Mr Modi, she called his actions “unforgivable,” alluding to the always-present possibility of a nuclear conflict between the states. “He has jeopardized the lives of more than a billion people and brought the war in Kashmir to the doorsteps of ordinary Indians,” Ms. Roy wrote. “This government has wounded India’s soul so very deeply. It will take years for us to heal. For that process to even begin, we must vote to remove these dangerous, spectacle-hungry charlatans from office. “We cannot afford to have a Prime Minister who, on a whim has broken the back of the economy of a country of a billion people by declaring overnight, without consulting anybody that 80 percent of a country’s currency is no longer legal tender. Who in history has ever, done this? We cannot have a Prime Minister of a nuclear power who continues to shoot for a movie about himself in a National Park while a huge crisis befalls the country and then airily declares that he has left the decision of what to do next to the “Sena”— the Army. Which democratically elected leader in history, has ever done this? “Modi has to go. The quarrelsome, divided, unstable Coalition government that might come in his place is not a problem. It is the very essence of democracy. It will be far more intelligent and far less foolhardy,” she aid in conclusion. Most American newspaper reports cast doubts about Indian claims of having a terrorist training camp in Balakot. Witnesses said that the bombs fell in a mostly empty forest and that the only person hurt was a 62-year-old villager who suffered a small cut above his eye. “What terrorists can you see here?” he asked, according to Reuters. The Times said, “Kashmir is a depressed place, with little development, few good jobs and a sense of hopelessness. It has been down for decades, ever since its people began chafing for indep. “Life on the India side is often disrupted by militant attacks, street protests or government crackdowns. Soldiers are everywhere: on the roads, in the apple orchards, standing with their guns behind giant coils of barbed wire. Schools shut down frequently. So do stores, roads and the cellphone network. Some young Kashmiris call their homeland ‘he world’s most beautiful prison’. “The Kashmiris who get out are often discriminated against. After the Indian convoy was hit in mid-February, hundreds of Kashmiri college students at universities in India were chased off their campuses. Many were terrified; some were beaten up. “Even in New Delhi, the capital, where many people from different parts of India live, some Kashmiris were thrown out by their landlords for one reason: They were Kashmiri. Aijaz Ashraf Wani, a professor of political science at Kashmir University, said Kashmir had become the major source of tension between India and Pakistan. “We are the grass that suffers in the fight between two elephants,” Wani said.